REMINDER: NO SCHOOL FOR STUDENTS TOMORROW, AUGUST 29TH – EXCEPT FOR POLARIS CAREER CENTER/OMBUDSMAN PROGRAM WILL BE IN SESSION (BUS SCHEDULE PROVIDED BELOW). 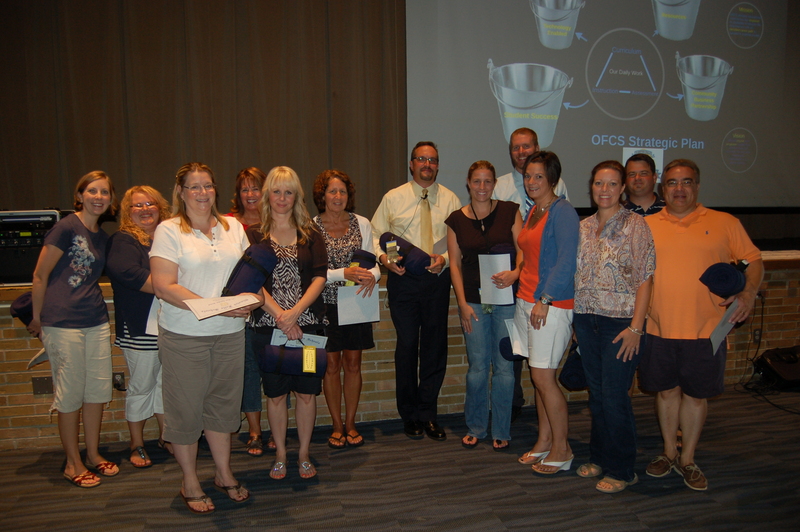 Tomorrow, Friday, August 29th is a staff-only professional development day for the Olmsted Falls School District. There will be no school for students tomorrow – EXCEPT FOR OFHS STUDENTS ATTENDING POLARIS CAREER CENTER OR OMDUSMAN, WHICH WILL BE IN SESSION. Buses this Friday will run ONLY to and from OFHS for Polaris and Ombudsman students in the morning, midday and afternoon. 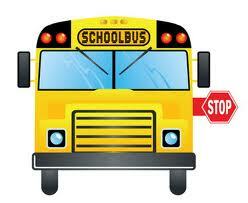 Students should be at the high school 5 minutes prior to the designated departure time. Please CLICK HERE to see the bus schedule for Polaris and Ombudsman students for this Friday ONLY. 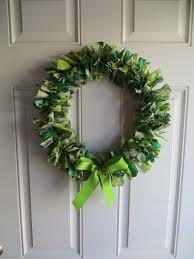 School will resume Tuesday, September 2nd, due to Monday being the Labor Day holiday. VOLUNTEERS HELP PROVIDE EXTRA WARM WELCOME BACK FOR STUDENTS! The opening of the 2014-2015 school year brought smiles to faces of students and staff members alike last week as 1st – 12th graders returned to the buildings last Thursday, August 21st. To see first day of school coverage from Falls-Lenox Primary School on cleveland.com, please click HERE. Kindergarten students arrived for their first official day of school at the Olmsted Falls Early Childhood Center this past Monday, August 25th. 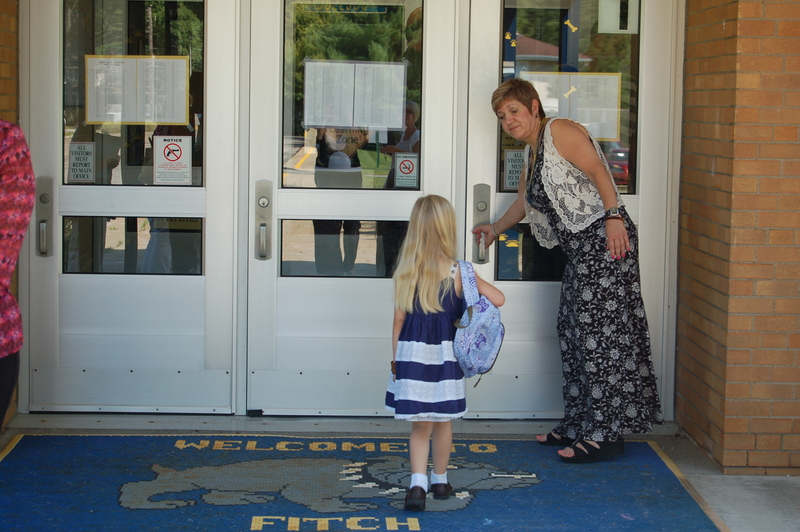 Our littlest Bulldogs were greeted at the door by plenty of volunteers with friendly faces – many thanks to PTA and Central Office staff who were on-site to help guide arrivals! 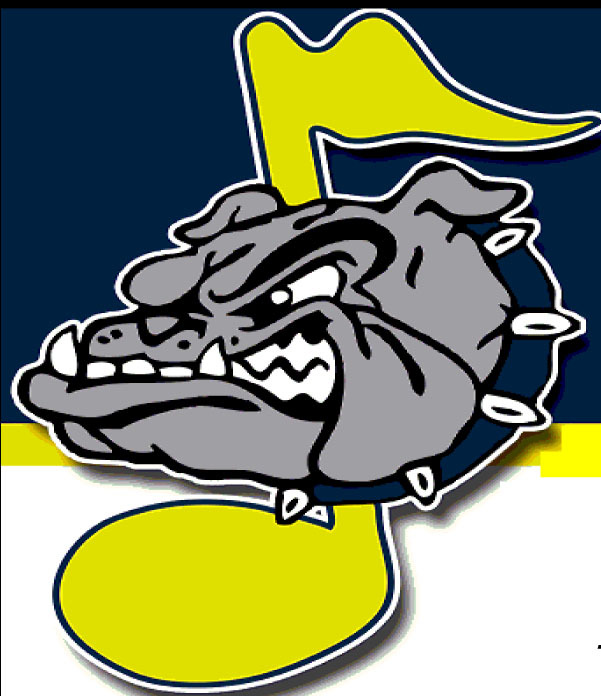 Best wishes to all Bulldog students and staff for an outstanding 2014-2015 school year! Please note that school fees for all students (grades K-12) for the 2014-2015 school year have been uploaded and are now available for payment using the EZPay system. This includes any applicable fees for individual courses at Olmsted Falls High School. New this year for OFHS parents is an integration between EZPay and PowerSchool, which will automatically show individual course fees connected to your student’s schedule. We hope our high school parents will find this to be a significant improvement over past years when parents had to search and select individual course fees manually. Parents of returning students who have not yet accessed the InfoSnap portal through their PowerSchool parent accounts to verify student information, make changes (if needed), and submit all required start-of-the-year forms (Emergency Medical Authorization, Acceptable Technology Use Policy, Permission to Photograph, etc.) electronically for the 2014-2015 school year are urged to contact your child’s school building today for assistance. It is important that we have the most current information on file for all students. This information, along with a wealth of other valuable information, can always be found on the “Counselors’ Corner” page of the OFHS website. Please be sure you have the current 2014-2015 School Year Calendar for Olmsted Falls School District by downloading a PDF file HERE. – If you have questions or concerns, please feel free to contact us. We’re here to help! The Food Services Department phone number is 440 427-6440. An informational parent meeting for the Bulldog Theatre Company, OFMS’s drama club, is Thursday, August 28th from 7-7:30 p.m. in the OFMS cafeteria. The meeting will include information about the company’s two shows for this school year, as well as free after-school workshops for students in grades 6-8. Any questions? Contact Eric Bartkowski, ebartkowski@ofcs.net. OF kindergarten through grade 5 students are invited to attend a mini cheer clinic, then cheer the varsity Bulldogs to victory at the team’s September 5th game against Canton South High School. The clinic for grades 3-5 is from 6:30-8:30 p.m., Tuesday, September 2nd and for K-2, 6:30-8:30 p.m. Thursday, September 4th. The OFHS cheerleaders are sponsoring this event with the clinics at OFIS. To view a flyer with more details, CLICK HERE. OFHS PTA IS LOOKING FOR SUPER HEROES! To download an OFHS PTA membership form, CLICK HERE. The letter has great reasons why you should join PTA. Senior parents especially are encouraged to do so. For your child to be eligible for college scholarship money from the OFHS PTA, parents need to be members. If you join by Thursday, August 28th, you will be entered into a gift card raffle. Visit PTA at the OFHS Open House August 28th in the cafeteria or turn in your membership form to the school’s office. Please join, come to a meeting and see what we are all about!! 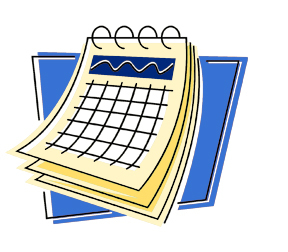 For a list of OFHS PTA meeting schedule, CLICK HERE. 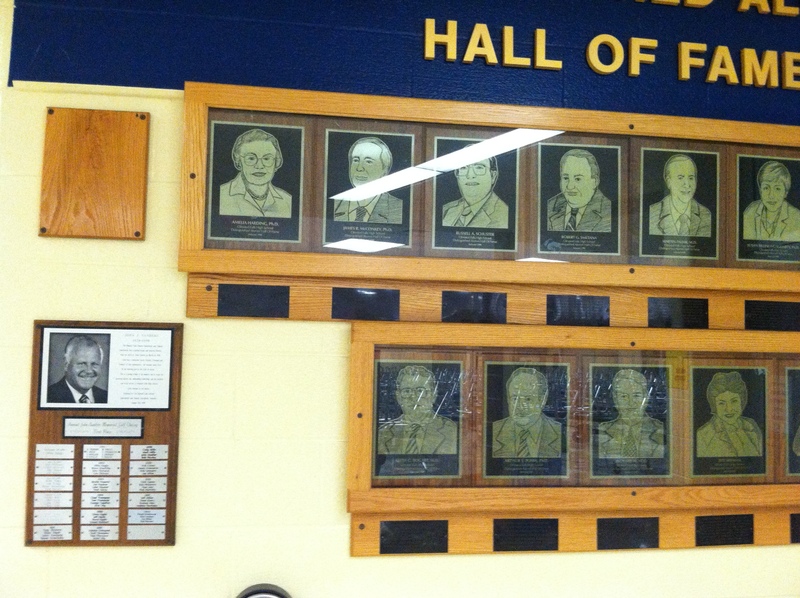 Over the last five years, the Olmsted Falls Athletic Boosters, through the community’s help, has contributed $408,569 in various projects and items. This funding helps the OF school district continue to be the only conference school without pay-to-play fees or support transportation costs. For a list of projects, CLICK HERE. Volunteers are still needed to work concessions. You also may become a patron. The group’s meetings are the first Monday of the month starting at 7 in the OFHS media center. For more details about OFAB, CLICK HERE. 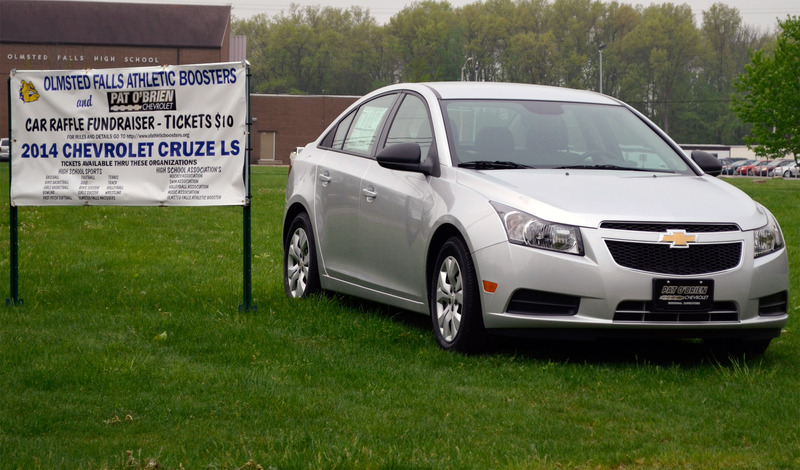 Finally, don’t miss your chance to WIN A 2014 CHEVY CRUZE LS OR $10,000! Help cheer the Bulldogs varsity football team to victory at the 2014 Helping Hands Tailgate for the September 5 game at our Charles A. Harding Memorial Stadium. The group will gather from 6-7 p.m. for food and fun, then sit in a designated set of bleachers at the south end of the stadium for the 7 p.m. game. Please RSVP for this event by clicking here and submitting your form to Mariel Krakowiak at OFHS by Tuesday, Sept. 2nd. Contact Mariel Krakowiak with any questions at mkrakowiak@ofcs.net. 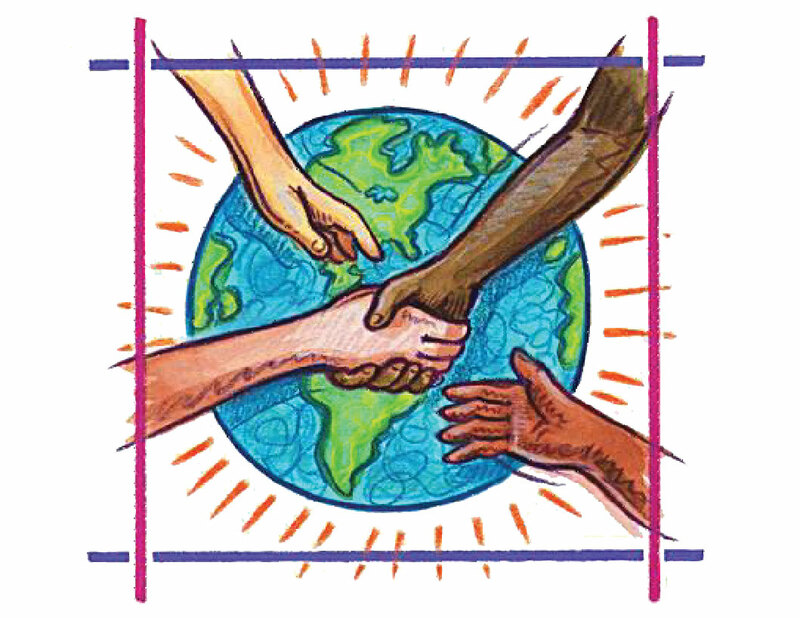 All are invited to attend the OECPTA’s first meeting of the new school year at 7 p.m. in the OFMS media center. The group is for families with children ages 6 and under. Membership is open to anyone in the Olmsted communities interested in enriching the lives of our preschoolers, toddlers and infants. For more details, go to oecpta.org. The OFMA is ready for this year’s activities. Its first meeting is September 3rd at 7 p.m. in the OFHS choir room. It invites parents and community members to become members and volunteer at various music activities. The band will travel and play at DisneyWorld from Feb. 12-17, 2015. It has various fundraisers occurring and is offering Spirit Wear, with a Sept. 3 order deadline. To view the group’s Musical Notes September newsletter, CLICK HERE. It contains membership and Spirit Wear forms. 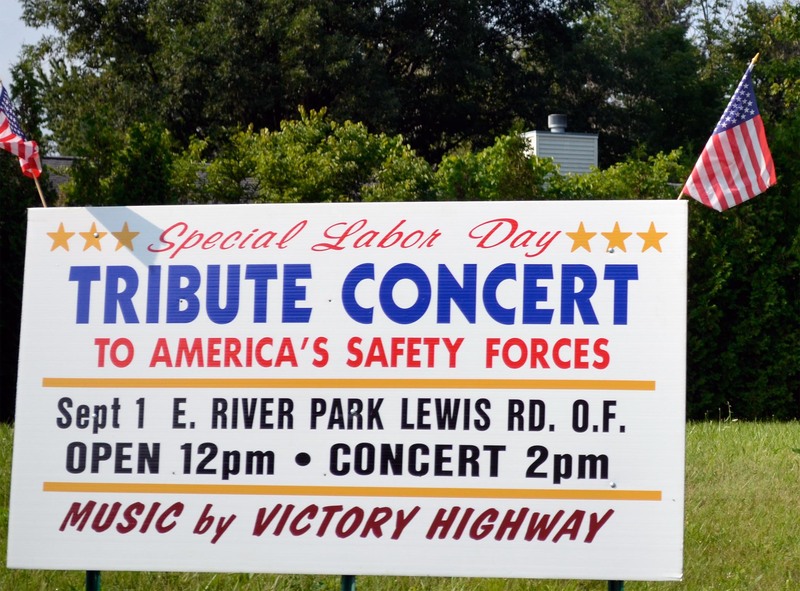 The community is invited to a special Safety Forces Tribute Concert Sept. 1 at East River Park. The event begins at noon with a safety vehicle display. Victory Highway will play from 2-4 p.m. There also will be a moment of silence to those police and fire officers who died in the line of duty. 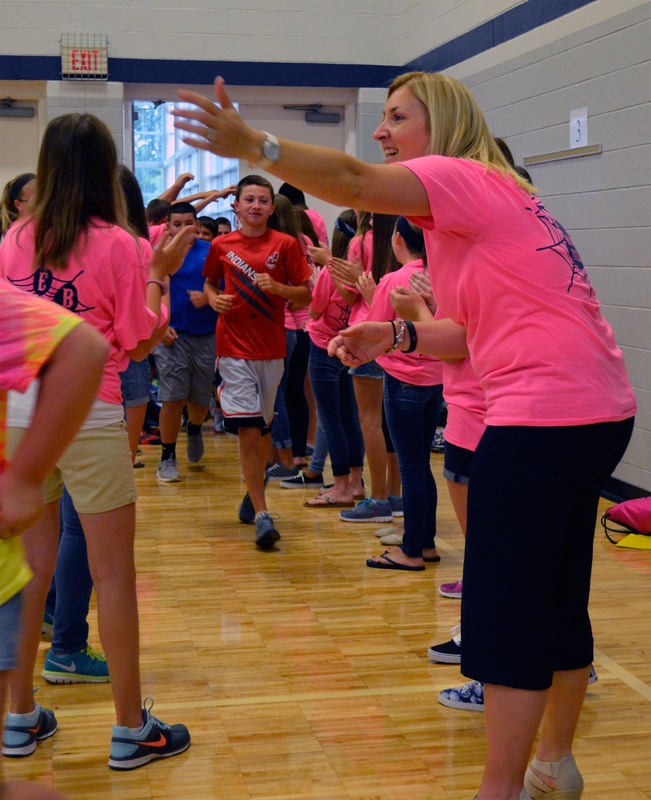 The new 6th graders at Monday’s orientation at OFMS ran through a cheering receiving line in the gym, played games and learned their older classmates – and teachers – are willing to help them through every step toward their academic success. About 70 WEB (Where Everybody Belongs) members greeted the 300 sixth-graders at the start of the 4 l/2 hour orientation session that begin with music, cheers and happy faces. They worked in large groups and individually, learning the ins and outs of the school, their new educational environment and strategies to be successful students at OFMS. They were told it is OK to do things their way, to be different – and that teachers are there to support them. What a great way to start the new school year in a new school! Kudos to our Middle School staff and WEB leaders! 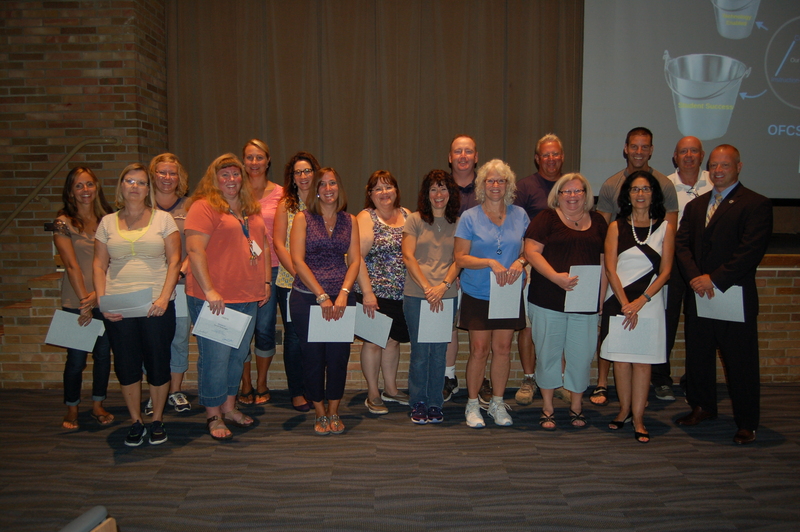 Olmsted Falls School District staff members have been busy preparing for the start of the 2014-2015 school year. 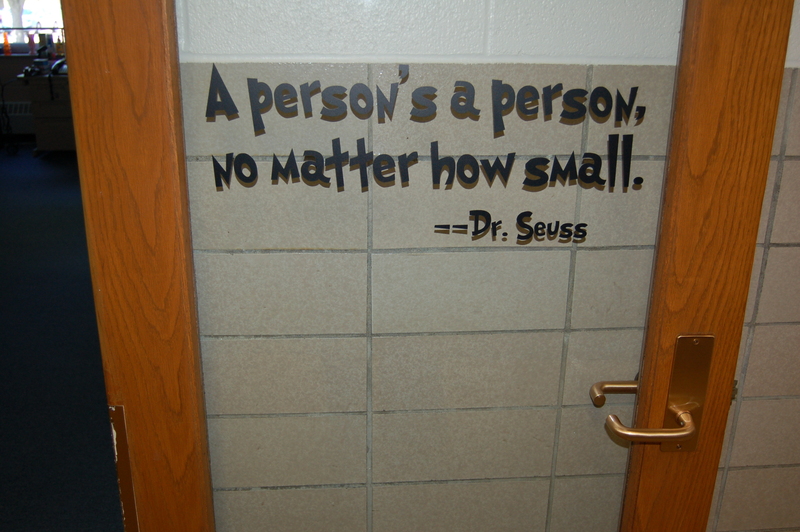 We look forward to the return of students beginning tomorrow, Thursday, August 21st. 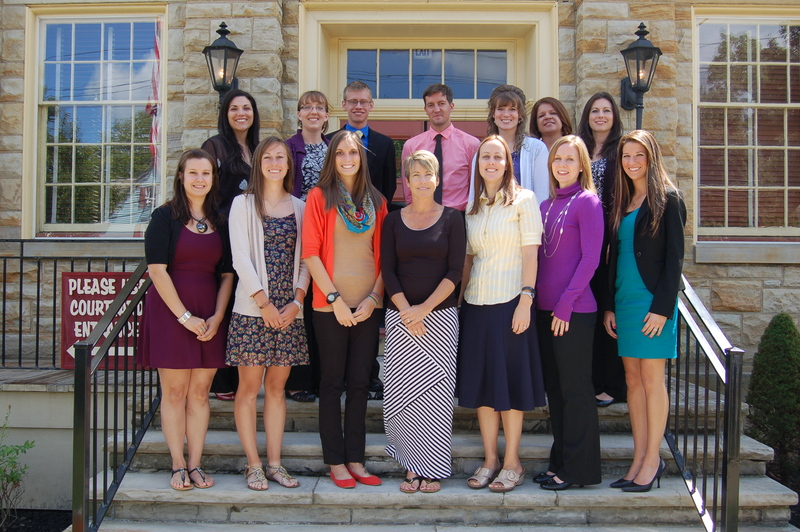 Please join us in welcoming some new faces to our classrooms this year! Front Row (L to R): Libby Elkhe – 2nd Grade Teacher; Laryssa Byndas – OFHS Math Teacher; Valerie Weimer – Falls-Lenox Tutor; Dawn Carlin – Technology Integration Specialist; Pam Madak – OFMS Tutor; Andrea Porte – Falls-Lenox Tutor; Lauren Kallevig – Speech Language Pathologist for Falls-Lenox, OFIS & OFMS. Back Row (L to R): Aimee Caldrone – OFHS Guidance Counselor; Heidi Keppen – Falls-Lenox Music Teacher; Paul Faulkner – OFMS Band Director; Jordan Eaton – OFHS Physical Education Teacher; Danielle Hicks – OFMS Language Arts/Social Studies Teacher; Katrina Muzingo – OFHS Intervention Specialist; Kristen Crawford – 1st Grade Teacher. 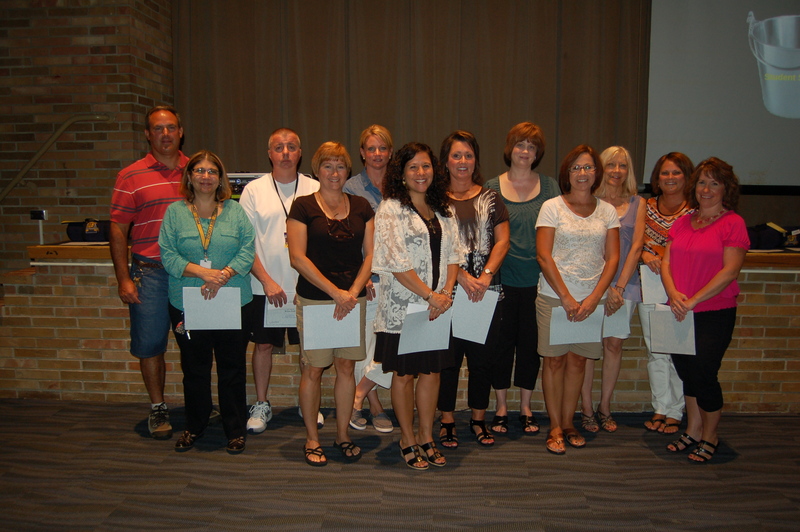 District officials recognized staff members for their years of service to the District during the annual opening day staff meeting to kick off the 2014-2015 school year. 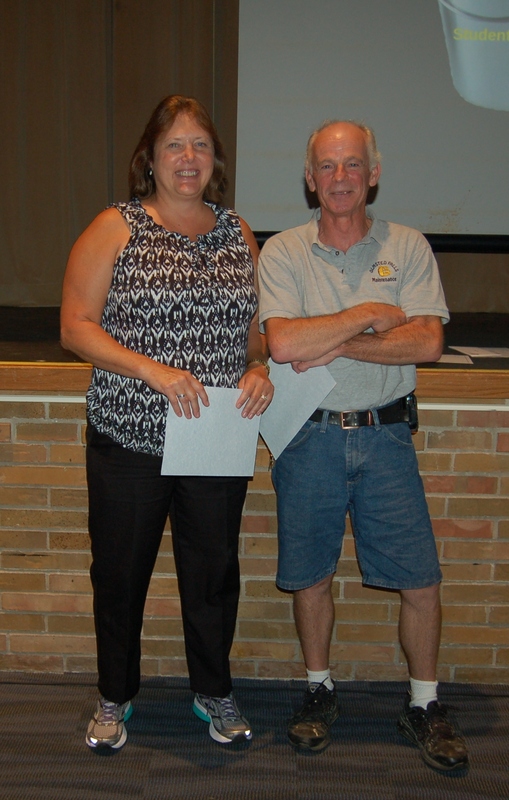 Employees with 10, 15, 20, 25, 30 and 35 “Bulldog years” were acknowledged in front of their peers for their contributions to the District’s success. Congratulations to all! They are listed in alphabetical order. 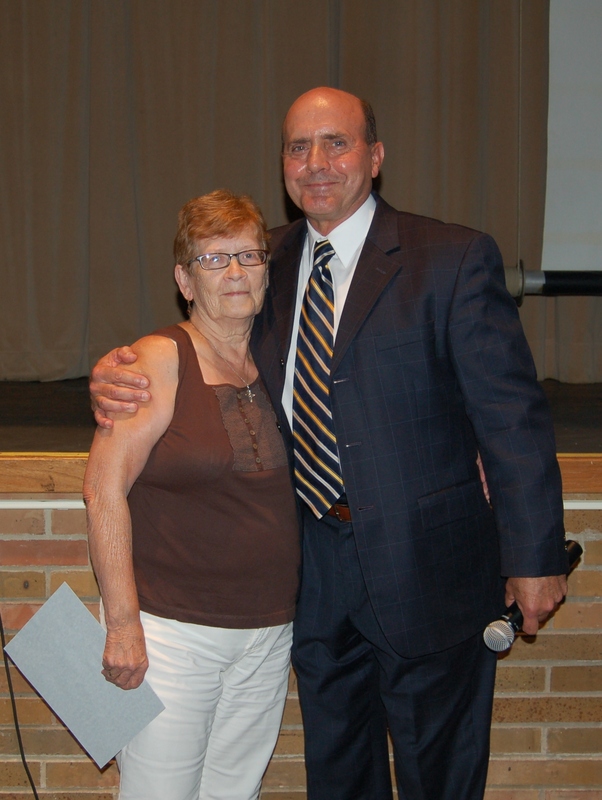 Director of Business Affairs Tim Atkinson helped honor OFHS Cleaner Rose Cortimilia for her 35 years of service to the Olmsted Falls School District during Wednesday morning’s Opening Day Meeting for all staff. Congratulations and thank you to Rose Cortimilia! Tom Gibeaut (OFHS); Blake Johnson (OFHS); John Klembarsky (Falls-Lenox); John Mercer (OFHS); Michael Moore (OFIS); Michael Schafer (OFIS); Charles Smith (OFMS/OFIS); Maria Tessier (OFIS); Donna Tindera (Falls-Lenox); Elaina Tzolakis (OFIS) and Nancy Womack (OFMS). Kristen Gillespie (OFMS); Suzanne Gross (OFMS); Trisha McGhee (OFIS); Diane Metzger (ECC); James Munchick (OFHS); Brian Reid (Transportation); Jayne Reitz (Falls-Lenox); Rhonna Smith (Falls-Lenox); Irene Stoyka (OFHS/Transportation); Teresa Tantanella (OFMS); Lisa Topolski (OFHS) and Marjorie Vormelker (Falls-Lenox). Susan Chaplin (OFMS); Michelle Cifranic (Transportation); Robert Coxon (OFHS); Tom Dipert (Central Office); Robyn Eidam (OFIS); Debra Lackey (OFIS); Laurie LaGruth (OFHS); Suzanne Maddocks (OFHS); Janet Messinger (OFHS); Sean Pellerite (OFHS); Debra Pojman (OFIS); Cathy Rachid (OFIS); Kristina Robertson (Falls-Lenox/OFIS); Lucinda Serrani (Falls-Lenox/Transportation); Martin Simon (Falls-Lenox); Jim Smith (OFMS); Mark Tabar (OFIS); Denise Tabar (Central Office) and Kimberly Urban (OFMS). Patricia Binggeli (OFHS); Shannon Chichester (Falls-Lenox); William Davis (Transportation); Yvonne Frieg (OFIS); Mark Harbison (OFHS); Diana Hill (OFHS); Heath Krakowiak (Transportation); Dr. Jim Lloyd (Central Office); Breanna Milligan (OFMS); Jamie Myers (OFIS); Martha Pickenheim (OFHS); Benjamin Ricci (OFIS); Robin Scott (Falls-Lenox); Stacie Ware (OFMS) and Erika Wyman (OFMS). More than 2,000 returning students have already been updated/submitted online – THANK YOU! If you have not yet had an opportunity to complete the online registration for your returning student(s), now is the time. Please plan to log-in to your PowerSchool parent account to review/update the information for your student(s) and submit the required forms for the 2014-2015 school year electronically BY THURSDAY, AUGUST 21ST. 2. PLEASE DO NOT RE-REGISTER YOUR STUDENT THROUGH THE “NEW STUDENT” REGISTRATION LINK ON THE DISTRICT WEBSITE; THIS WILL CREATE A DUPLICATE STUDENT DATA FILE INSTEAD OF UPDATING YOUR RETURNING STUDENT’S EXISTING INFORMATION. 3. PLEASE BE SURE YOU ARE LOGGING IN TO YOUR POWERSCHOOL PARENT ACCOUNT; ACCESS TO THE INFOSNAP RETURNING STUDENT REGISTRATION LINK IS NOT AVAILABLE THROUGH YOUR STUDENT’S POWERSCHOOL ACCOUNT. While several of our main office staff have been participating in training sessions / district-wide meetings on and off this week, all offices will be open with all key office staff ready to assist those parents still in need of help. If you are actively using your PowerSchool parent account and are ready to access your returning student’s information, please click HERE to download more detailed instructions, if needed. Thank you in advance for your time and attention to this important task. Printed 2014-2015 Breakfast and Lunch menus will be available to students beginning on the first day of school. The 2014-2015 menus (for K-5; 6-8; and 9-12) are also available online. To view the menus online or download a pdf to print yourself, please click HERE. Printed menus will be sent home with all students (K-8) this week. Printed menus will be available in the high school cafeteria for all OFHS students. To view the current Our School Report, click here. It has important start-of-the-school-year information and highlights P.I. projects that were completed around the district over summer. Bus cards have been mailed out. Any family who has not yet received their bus card(s) in the mail should contact the Transportation Department at 427-6350. 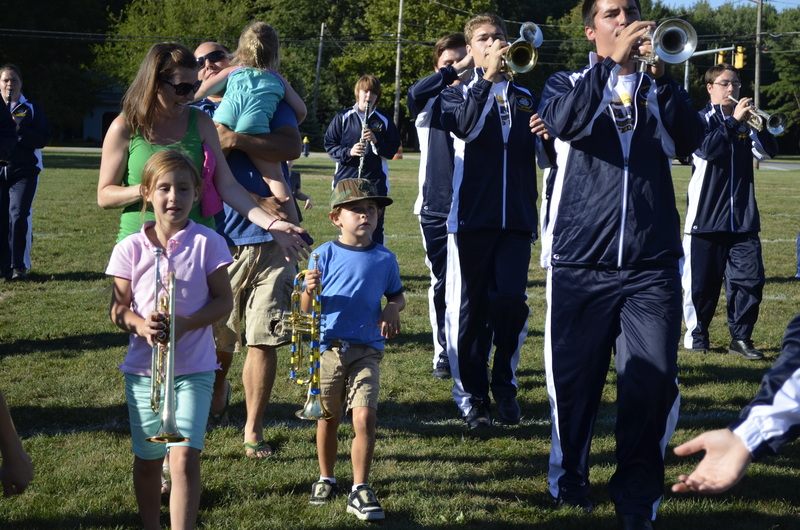 Young Bulldogs aged preschool to grade 5 are invited to join the OFHS marching band on the practice field at 6 p.m. Friday, August 22. Bring your own instrument from home to play along with the Bulldog musicians! After this initial time, participants are invited to march with the band to the football stadium where the Pride of Olmsted Falls will perform a special preview show at 7 p.m. 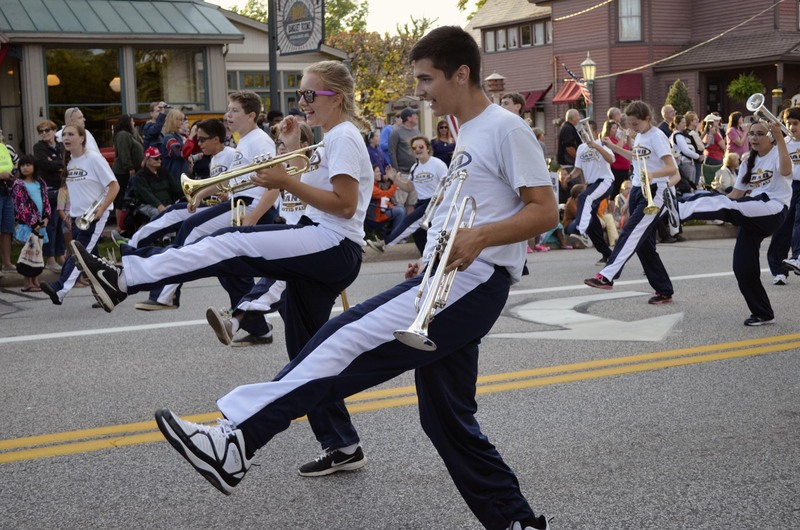 In the annual tradition, Olmsted Falls Board of Education members and District administrators joined the OFHS Marching Band and Bulldog athletes on the parade route in the Heritage Days Parade held August 14th. Building principals had an opportunity to say “Welcome back” a few days early, as they waved to their many students along the parade route. As always, students, families and community members lined the streets for the annual event…and for the candy. Please click HERE to view our Heritage Parade photo gallery. Also, click HERE to view local media coverage of the event. Please RSVP for this event by clicking here. Contact Mariel Krakowiak with any questions at mkrakowiak@ofcs.net. 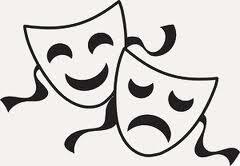 IS YOUR MIDDLE SCHOOLERS INTERESTED IN DRAMA? An informational parent meeting for the Bulldog Theatre Company, OFMS’s drama club, is set for Thursday, August 28th from 7-7:30 p.m. in the OFMS cafeteria. The meeting will include information about the company’s two shows for this school year, as well as free after-school workshops for students in grades 6-8. Any questions? Contact Eric Bartkowski, ebartkowski@ofcs.net. We hope you are able to join us! 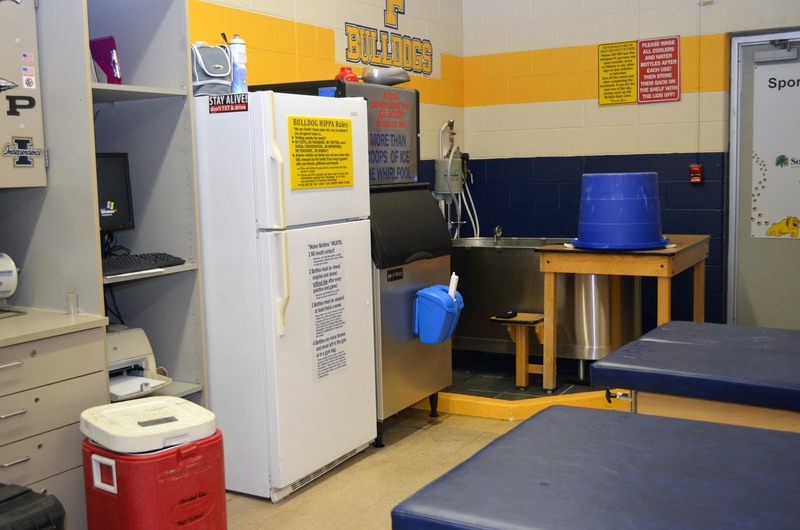 Volunteers are needed for the fall football concessions. 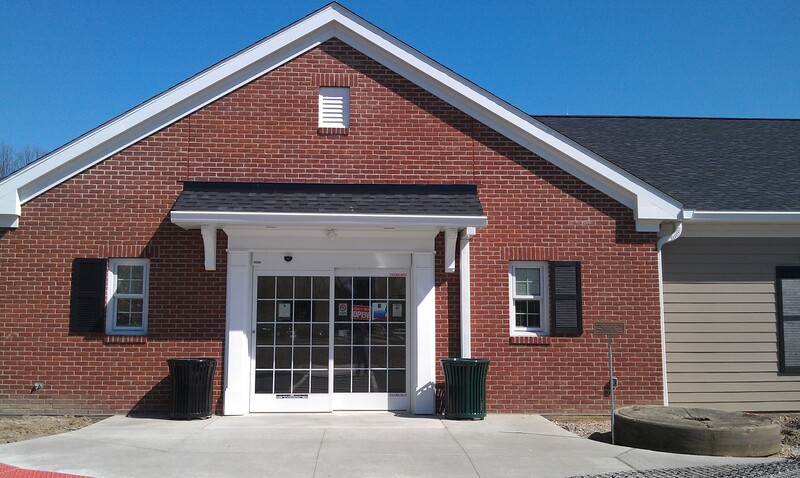 The funds help keep Olmsted Falls void of pay-to-play fees. All SWC schools, except OF, have these fees. The boosters soon will send out e-blasts about fall high school and middle school football schedules. The OFAB is raffling off a Chevy Cruze! Tickets are $10. We hope that everyone is enjoying the final days of summer break. As we prepare to open the 2014-2015 school year, we are officially activating our district’s Weekly Blog Update to provide you with a summary of important back-to-school information. This Weekly Blog Update will be published each week that school is in session throughout the school year. 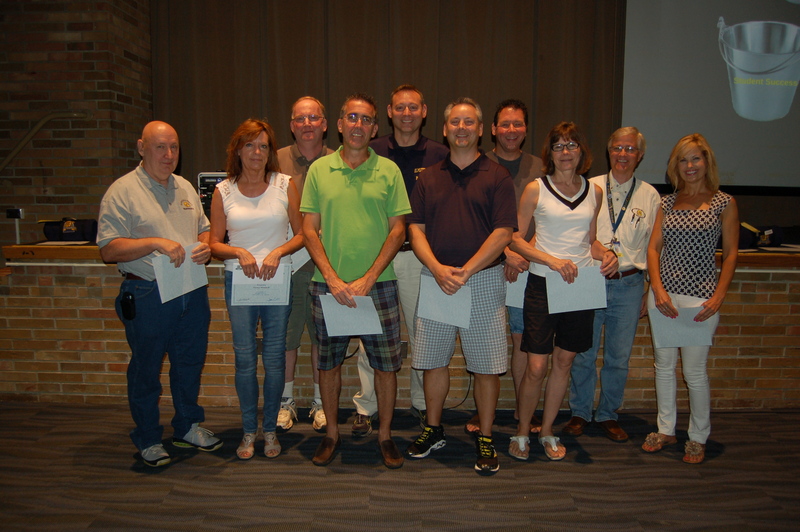 Olmsted Falls School District staff members have been busy preparing for the start of the 2014-2015 school year. We look forward to the return of students beginning this coming week. OF ATHLETIC BOOSTERS GARAGE SALE – – TODAY! The OFAB will have a garage sale from 9 a.m. to 1 p.m. Saturday, August 16th, at the district’s football stadium booth. There will be many discounted items to purchase. Come see the entire new line that will be sold at the home football game. Stop and see what is new! Our District will continue to use the online InfoSnap portal for parents to verify information we have on file for their child(ren), make changes if necessary, and submit all required start-of-the-year forms electronically (Emergency Medical Authorization, Acceptable Technology Use Policy, Permission to Photograph, etc.). This online registration system for RETURNING STUDENTS is now open. More than 1,500 returning students have already been registered online – THANK YOU! If you have not yet had an opportunity to complete the online registration for your returning student(s), now is the time. Please plan to log-in to your PowerSchool parent account to review/update the information for your student(s) and submit the required forms for the 2014-2015 school year electronically BEFORE THE FIRST DAY OF SCHOOL ON THURSDAY, AUGUST 21ST. 1. PLEASE DO NOT RE-REGISTER YOUR STUDENT THROUGH THE “NEW STUDENT” REGISTRATION LINK ON THE DISTRICT WEBSITE; THIS WILL CREATE A DUPLICATE STUDENT DATA FILE INSTEAD OF UPDATING YOUR RETURNING STUDENTS EXISTING INFORMATION. 2. PLEASE BE SURE YOU ARE LOGGING IN TO YOUR POWERSCHOOL PARENT ACCOUNT; ACCESS TO THE INFOSNAP RETURNING STUDENT REGISTRATION LINK IS NOT AVAILABLE THROUGH YOUR STUDENT’S POWERSCHOOL ACCOUNT. To download more detailed instructions on how to access and update your returning student’s information through PowerSchool, please click HERE. Return to your PowerSchool parent account main page. Then click the “InfoSnap” link to review, update and submit this student’s information. Repeat above 3 steps for each student in your household. 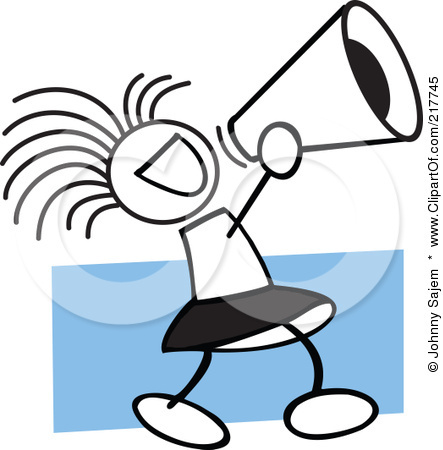 FOR PARENTS OF NEW STUDENTS: If you are a parent of a NEW STUDENT who has been recently registered (for the first time) in Olmsted Falls School District for the 2014-2015 school year, you do not need to review/update your student’s information again at this time. 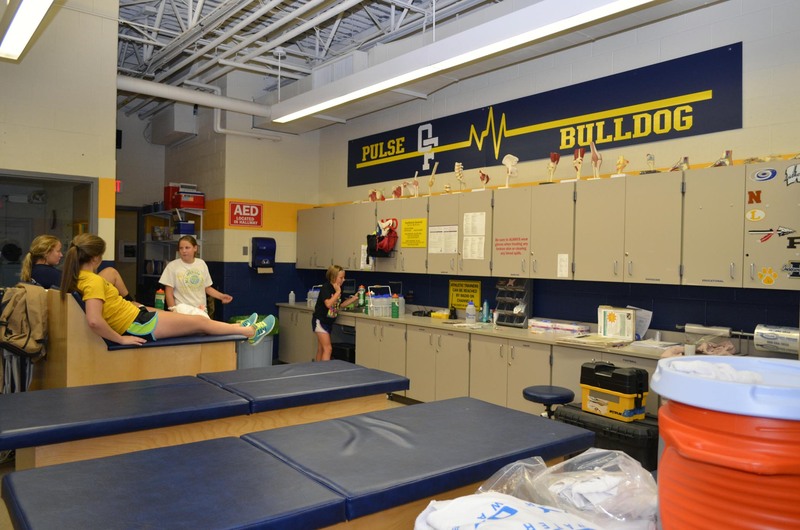 The Olmsted Falls Athletic Boosters invites the community to its Open House of the updated Training Room. It is from 6-8 p.m. Monday, August 18 at the OFHS. The group made more than $20,000 in improvements to the room and its equipment to make the room a better place for those injured to go. 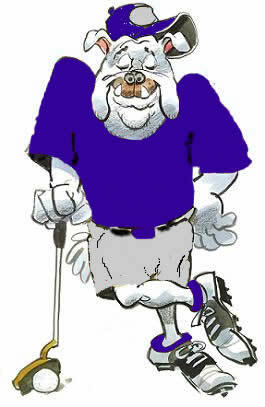 Volunteers completed all the work this summer in preparation of the fall athletic season. Many of the items were repurposed within the room. 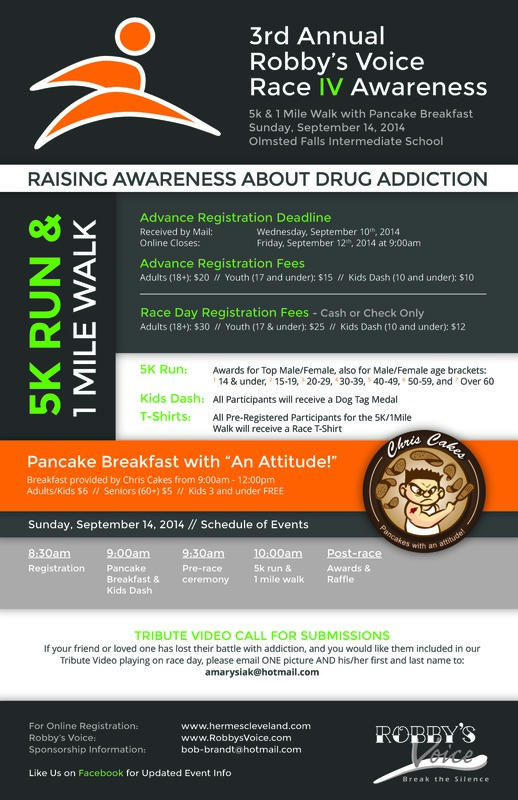 Click here to see the flyer for more details and share the information with others. Also meet the trainer from Southwest General Health Center Sports Medicine and the volunteers who made this project possible. 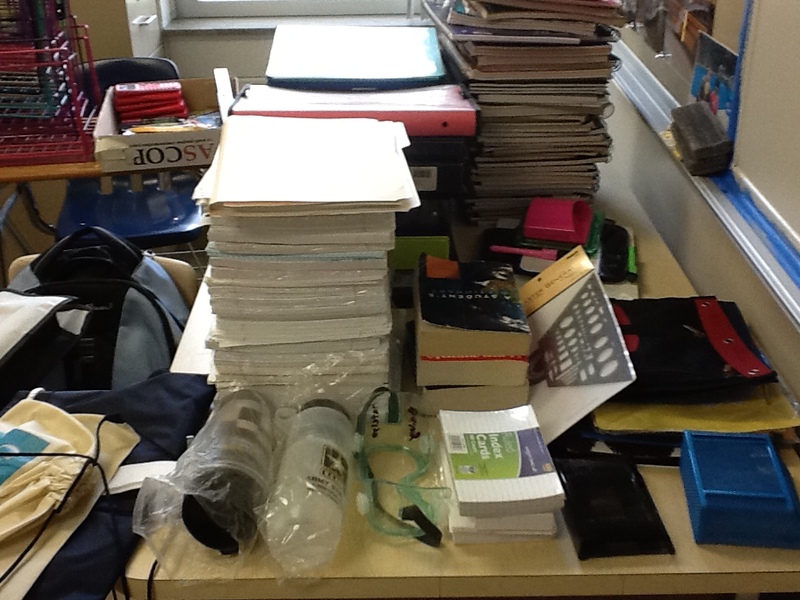 The OFHS Student Council accumulated many barely-used school supplies at the end of the 2013-2014 school year. They are available for anyone in the community whose children attend district schools. The items will be available in Room G26 from 8 a.m. to 3 p.m. on Tuesday, August 19 and 8 a.m. to 1 p.m. Wednesday, August 20. The majority of the supplies includes, but not limited to, notebook paper, folders, three-ring binders, locker stands and writing utensils. Please visit Room G26 on these days and help yourself to the items that will be on desks. 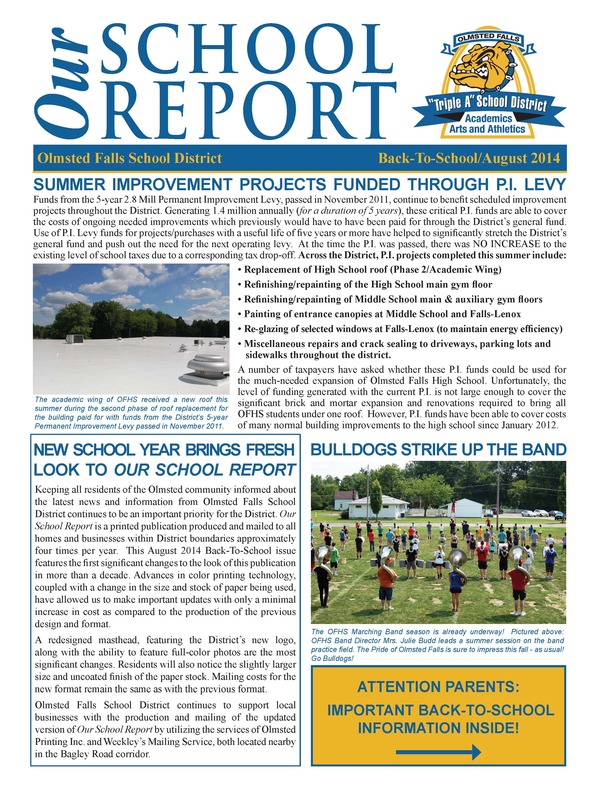 The August 2014/Back-To-School issue of our School Report will hit homes this week. For an advanced look at this latest issue – featuring fresh updates to the masthead design – please click HERE.